After years of meticulous financial planning, you have come to the point where all your efforts paid off. By investing prudently, seeking help of debt settlement companies and cutting down on unnecessary expenses, you can now pride on the decent amount sitting in your bank. While it is certainly the time to enjoy all of your hard work, you have to be even more careful about the way you withdraw money from your account as it can make a life and death difference. The withdrawal strategy you will adopt will shape your financial future so there is no way you can afford any risks. The following is endeavored at giving you useful advice on how you should go about the process of withdrawing money from your retirement account. 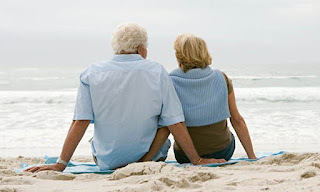 The way you valve your retirement account in the post-retirement years is dependent on several factors. You can easily determine the best path to go down by taking these factors into consideration. Next, the question arises about the best time when one should start withdrawing money from retirement accounts. As a rule of thumb, the longer you wait to withdraw money from your IRAs or 401(k) accounts, the better. The more time you give these accounts to grow with the tax, the greater reward you will secure. However, there are other factors that come into play as well. You can delay withdrawing money from your 401(k) account till you are 70 and ½ years of age because this is when the minimum distributions that are required start. Is your financial portfolio strong enough to support you till you withdraw from your accounts? If not, you can start withdrawing money right away. Another factor that you cannot afford to forget is other sources of income. Can you keep your status as ‘retired’ while working part time to balance some of your living costs? Is the amount you get in the name of social security sufficient to offset your living costs or not? Pension is a great source of income that plays a big role in reducing annual withdrawals from your retirement account. The longer you avoid taking out money from your retirement account, the bigger chance you have to live your retirement the way you planned. Whenever you plan to take money out of your accounts, you always come to a fork in the road. You have to make a decision between withdrawing money from traditional accounts or Roth accounts. There is no specific answer as to which account you should first withdraw money from but guidelines that can help are listed below. If you think your income will be highly taxable, you should always withdraw money from IRA or Roth as this way you can avoid paying the higher tax rates. If you think otherwise, go for the traditional accounts first. You can save your withdrawal for the years when you anticipate a higher taxable income. When you first decide to withdraw money from your account, there are two factors you should take into consideration; namely transaction fees and the way asset allocation will be influenced. You will obviously want to minimize transaction fees and work your way towards an effective asset allocation. Some tips to help you reduce transaction fees are as follows. If an investment brings about redemption fees, avoid selling it. Avoid selling your assets in small batches as one has to pay trading fee repeatedly this way. You will be much happier selling a bigger chunk once and let all the money sit in your account. Go for a single transaction instead of multiple ones by avoiding selling numerous assets at a time. Make sure you put a halt to automatic reinvestment of dividends and take out the dividend instead. As you get older, it is strongly recommended that you avoid making any volatile investment and go for the more stable assets like bonds.